Tennis is a great way to stay fit, meet new people and have a wow of a time. 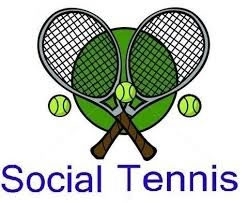 Kawana Tennis Club organise social tennis every Monday and Thursday morning from 8:00 to approx. 11:00am. New players are welcome. The club has 10 newly resurfaced hard courts, a staffed pro shop, large clubhouse, shaded seating areas and a hitting wall. You don't have to be a member, just come along whenever it suits and have a hit. Cost is $7 for non members and $3.50 if you decide to join the club. Usually there are 20 or more players, all over the age of 50. Someone will be there to welcome you and slot you into 3 or 4 sets of mixed, men's or ladies doubles. The overall standard of play is quite good. Improve your game in a friendly social setting.